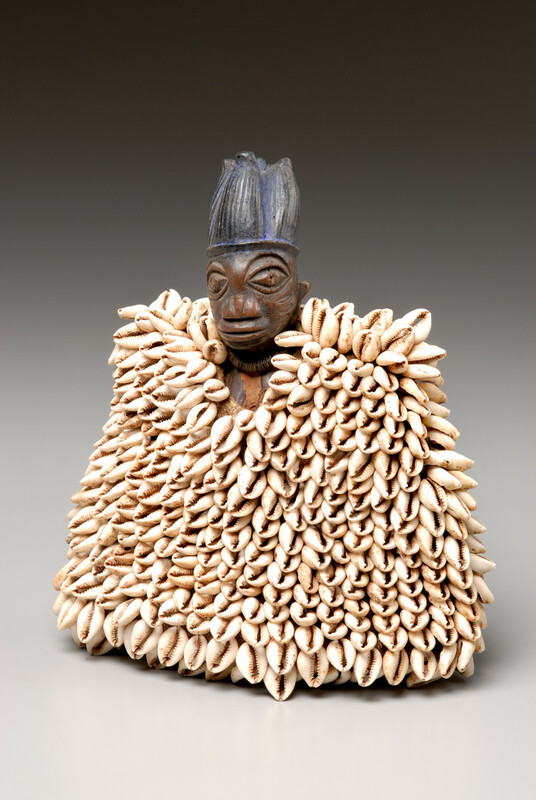 Some of the most outstanding works from NSU Art Museum Fort Lauderdale’s permanent collection of African art will be featured in a new exhibition on view July 24 through October 23, 2016. 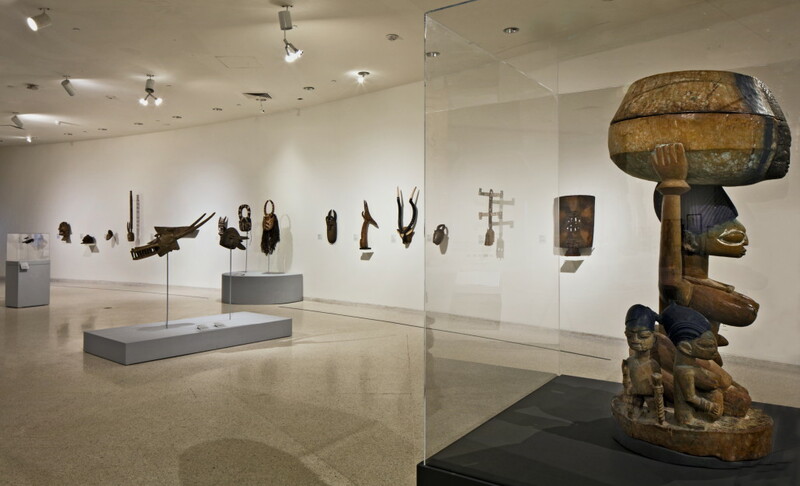 African Art: Highlights of the Permanent Collection explores the diverse highlights of NSU Art Museum’s collection of traditional art from Sub-Saharan Africa, with an emphasis on the art of West Africa. 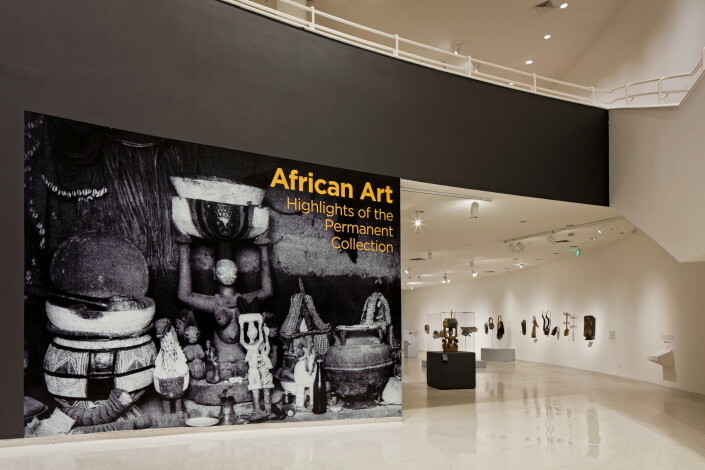 The exhibition is organized by NSU Art Museum Fort Lauderdale and curated by Marcilene Wittmer, Professor Emeritus and Curator, University of Miami, and includes approximately 60 pieces drawn from over 300 African works acquired by the museum over the past 45 years. One of the unique aspects of NSU Art Museum’s African art collection is the number of works it contains by artists whose identity is known. 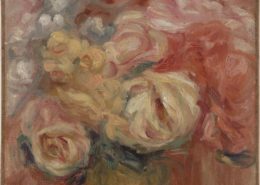 Included among these are works by important masters of a regional style or workshop. Current African scholarship seeks to recognize and identify individual artists’ identities rather than display works as anonymous or a tribal style. Among the most important works in NSU Art Museum’s collection is a ritual figure of a kneeling woman supporting a bowl above her head that is attributed to the renowned Yoruba carver Areogun of Osi-Ilorin (1880-1954). 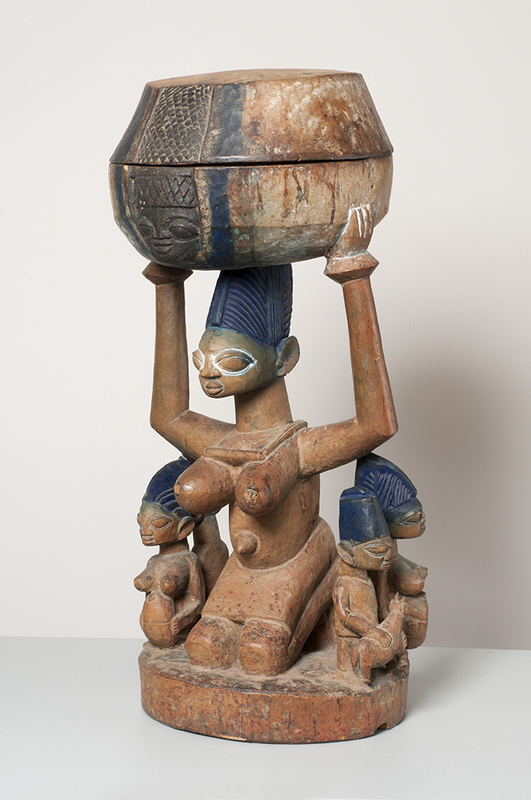 Many West African Yoruba religious groups employ such figures of devotees supporting platforms or bowls. 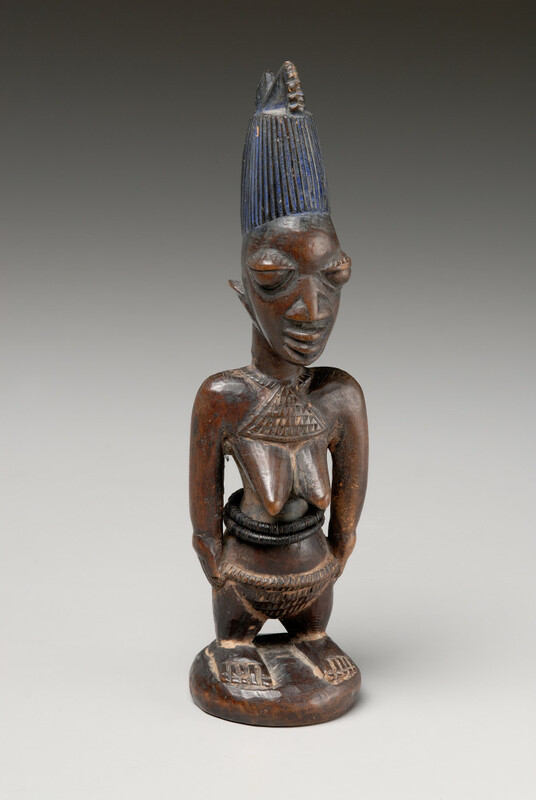 This particular piece was used on an altar for Shango, the powerful god of thunder. The museum’s collection represents the variety of scale of traditional African art including monumental carved wooden doors, and an array of styles from a wood Mende figure, whose realistic facial figures, neck rings, hair and round body, reflect ideals of Mende physical and moral beauty — to abstract plank masks from Burkina Faso used in ceremonial events. The exhibition includes a variety of shrine pieces and ritual objects, as well as outstanding examples of African textiles, beadwork, pottery, iron and copper alloy. 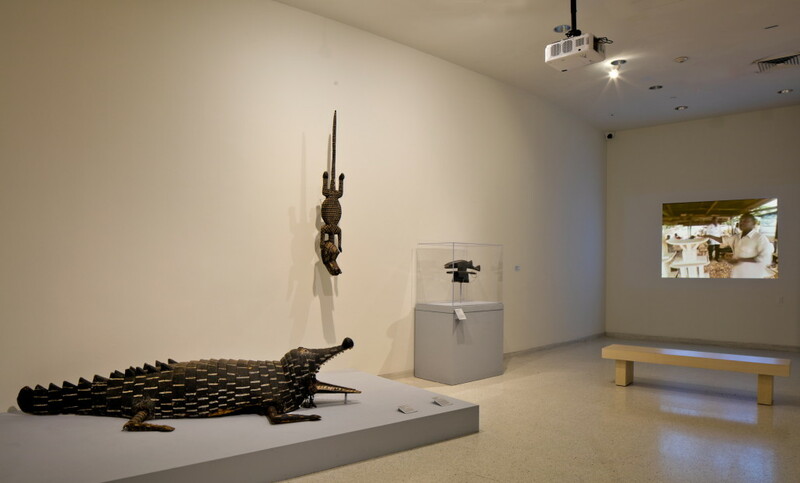 The majority of the exhibition’s works are from the late Colonial and post-Colonial periods of the mid to late 20th Century. 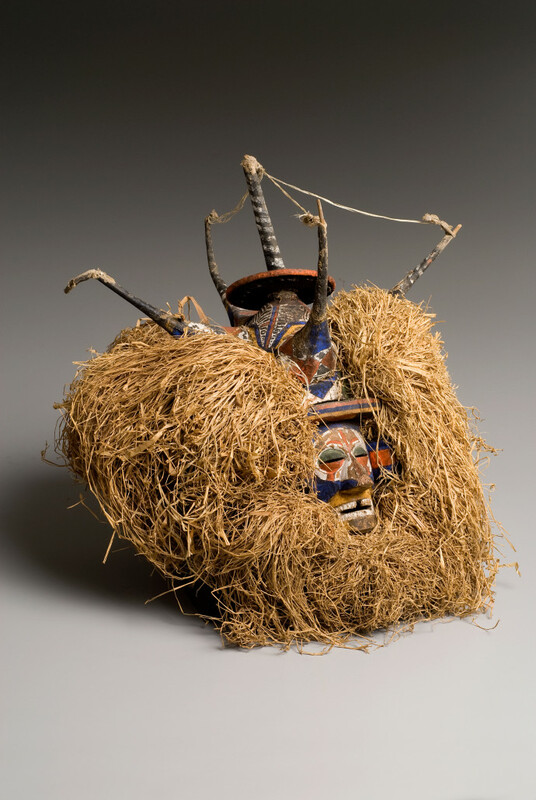 Some such works, such as the brightly-colored Dogon Kanaga masks, are still in production in various parts of rural Africa, as are the collection’s outstanding works by Yoruba carvers of Nigeria and Benin. 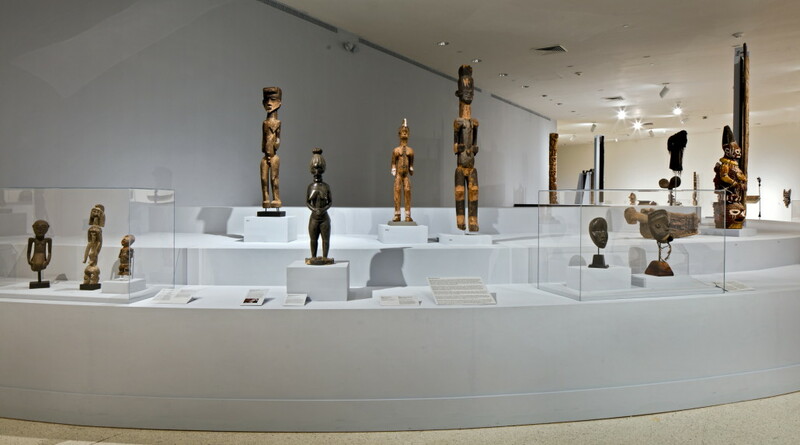 Among the exhibition’s earliest works is a ceremonial Dogon trough from the 19th century decorated with images of primordial ancestors and a crocodile emblematic of earth’s water. 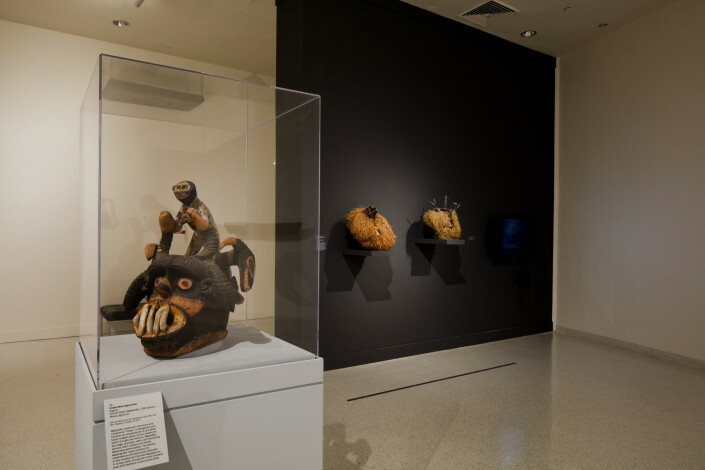 African Art: Highlights of the Permanent Collection is made possible with support from Wells Fargo and the Wege Foundation. Exhibitions and programs at NSU Art Museum Fort Lauderdale are made possible in part by a challenge grant from the David and Francie Horvitz Family Foundation. 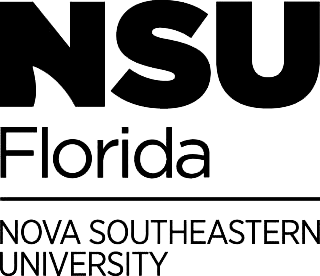 Funding is also provided by Nova Southeastern University, the Hudson Family Foundation, Broward County Board of County Commissioners as recommended by the Broward Cultural Council and Greater Fort Lauderdale Convention & Visitors Bureau, the State of Florida, Department of State, Division of Cultural Affairs and the Florida Council on Arts and Culture. 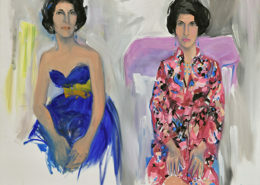 NSU Art Museum is accredited by the American Alliance of Museums.